Everybody wants to have the skill to easily style their hair for any occasion or event. That’s why many people invest in good hair styling products to avoid that bad hair day. Whether it’s a walk at the park with friends or a date with a special someone at a posh restaurant, everybody wants to look their best. 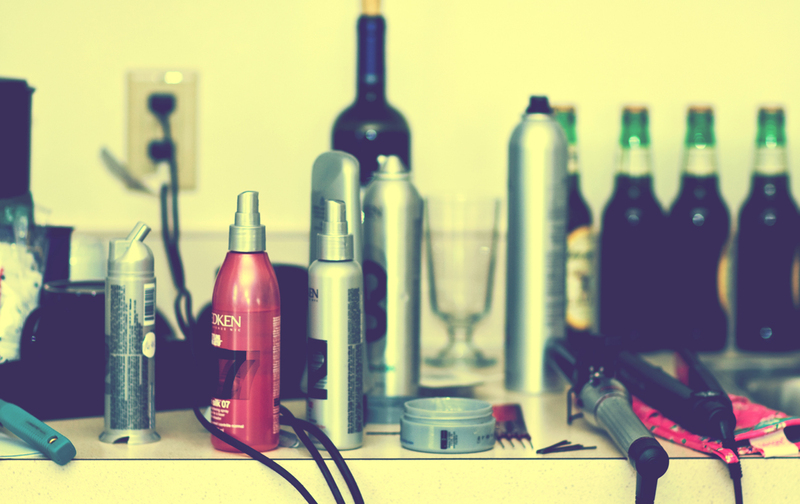 For someone who don’t know anything about hair styling, it may be a bit harder for them. But now everything is easier with information easily available on the Internet. Plus there are now apps to help you effortlessly style your hair. The Instagram or Pinterest for hair lovers, I Love Your Hair is an online community where real women can share photos of their chic hairstyles. Browsers of the app can even ask questions on how the person who posted did that hairstyle or where she got her hair styled. It’s the ultimate app for those who want to be in the know of what hairstyles are popular now and what hairstyles are being sported by real women. Using the app you can also save the photos and share these with friends or with a trusted hair stylist via social media. This is the perfect venue to look for gorgeous hairstyle ideas for any event or occasion. If you want to know how you look like with different hairstyles you can easily do so with Hair Salon and Hairstyle Wizard. These apps take gallery browsing to another level. Hair Salon available for Android and Hairstyle Wizard available for iPhone and iPad are apps that allow you to browse through popular hairstyles and then stitch your photo to see how they would look like on you. Gone were the days of being anxious or afraid or trying new hairstyles. These apps gives you a glimpse of how you would look with a particular style. Hairstyle Wizard even contain photos of popular celebrity hairstyles so you know the hottest trends when it comes to hair. With the Hair Colour app you can also digitally try different hair colours. Using your photo, you can see how you would look like with purple hair or multi-coloured streaks. You can have super realistic hair colour on your photo. Plus you can share these via social media for friends or for your stylist to see. You can even save it for your next trip to the salon or the next DIY hair colour session. After you’ve browsed through galleries, and got a peek on how you’d look with a new hair style or colour, it’s time to know how to style your hair to get the look you want. And what better way to learn than through DIY apps for your phone or tab. Hairstyle DIY contains hairdressing techniques and DIY tips to creating the perfect hairstyle. It also has a gallery of famous hairstyles from different areas of the world like Europe, Japan and the US. Hairstyle Design on the other hand has 500 hairstyle tutorials with pics. It also has a huge gallery of different hairstyles, from easy-to-maintain hairstyles to famous celebrity hairstyles. Using your trusty GHDs and reliable hair straighteners plus these apps, you can easily create the hairstyle that will work for a casual day outdoors or a fun night out with friends. Now having a chic and fashionable hair style can easily be achieved with the help of a few taps or swipes on your phone or tab.